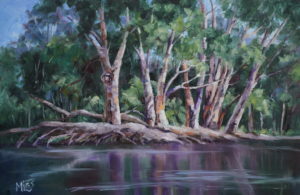 ‘Moira Creek Gum Trees’ was painted following a recent trip along the Murray River. I love the colours and shapes of the gum trees lining the small creek. I am an artist who is passionate about Australia. 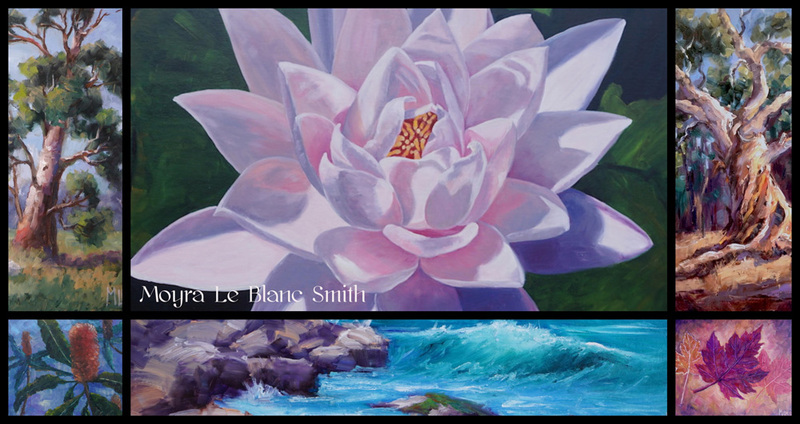 I paint nature-inspired oil paintings of forests, flowers, the outback, gum trees and the sea. 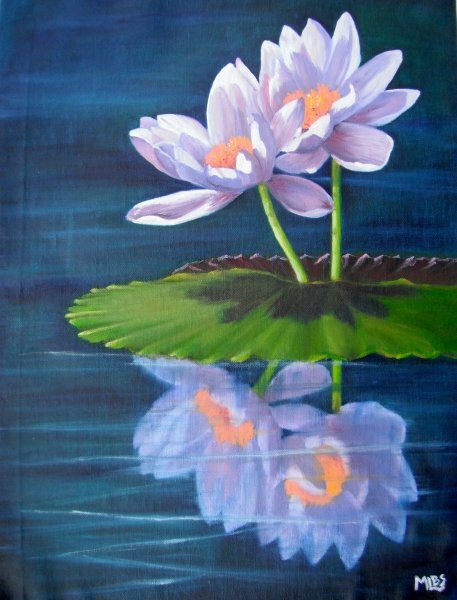 My art brings with it a message of the beauty of our world. For some time now I have been hoping to find a way to make a difference in some way, to how our beautiful Australia is cared for and to leave a better country for our children and grandchildren in which to live and grow. Having travelled extensively around Australia, I have been able to observe and realise how fragile and vulnerable our natural areas are. They are under immense pressure because of the increasing need for infrastructure, human impact, logging and food production. I wonder where this will lead us in the future. Too many animals and plants have become extinct. Humans, plants and animals require the natural environment for survival and to be surrounded by beauty is necessary for our wellbeing.